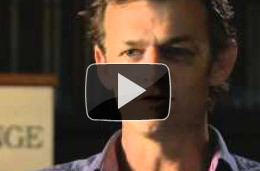 Adam Gilchrist revolutionized the role of wicketkeeper-batsman to become the most thrilling and ethical cricketer. Equally adept at Test, ODI and Twenty20 cricket, Gilchrist was the most uncomplicated and exhilarating of batsman whether at seven in the Test arena or opening in the frenetic short forms. Scoring at 81.95 per 100 balls in Test cricket and at a staggering 96.94 in ODIs his appearance guaranteed big crowds. While critics were seduced by the awesome power of his batting his wicket keeping withstood scrutiny and he completed 888 dismissals in Tests and ODIs. His undefeated 149 against Pakistan in Hobart, 204 not out in Johannesburg and his 57-ball hundred against England in Perth are among the greatest of all Australian Test innings. A crowning achievement was to lead Australia to its first series victory in India for 35 years in 2004. He famously 'walked' in a World Cup semi-final in 2003 and was widely lauded for his conduct on the field. Never seeking to place his personal success over that of his team-mates, Adam Gilchrist will be remembered not just for his extraordinary run-making and safe wicket-keeping but also for reminding all cricket followers that the integrity of the game is paramount. Adam Gilchrist played in Tests against every nation - he has a batting average of 40 or more against every country except India (27.90). His 17 centuries as a wicketkeeper is a world record, as is his total of 5,570 Test runs.